On the surface, it is simple to announce your conformity to the journalistic norms of accuracy, balance, and transparency. These ethical standards seem sensible in a vacuum or a hypothetical situation. But, when circumstances complicate matters, the frantic clawing for upholding journalistic integrity can manifest itself in the form of diversity discrepancies. In other words, diverse people bring diverse ideas to the newsroom, ideas that may conflict with conventional practices. One of the most pronounced diversity issues in the newsroom is the inclusion of advocacy in news content. Ethical journalism in America hinges on the promises of honest, even-handed media, so advocacy walks a fine line between informed editorial and biased vitriol. In a 2009 study on newsroom diversity, researchers noted, "on the one hand, advocacy is anathema to the values of mainstream papers; on the other hand, advocacy is the primary way minority newspapers serve their communities." Advocacy truly has been a central mission of minority journalists, particularly African American journalists, because of America's history of disregarding the stories of People of Color. 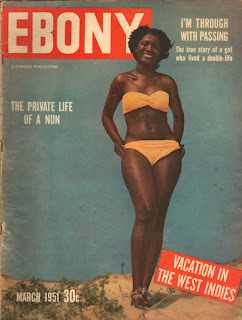 Because mainstream media ignored the triumphs and tribulations of the non-white population, publications like Ebony, Essence, and various Spanish publications sprung up to fill the need for diversified media. These publications, particularly those of the African American community, have deep roots in advocacy. For instance, the Civil Rights Movement necessitated a great deal of coverage on racial tension during the 1960's. However, oddly enough, the "black side" of the narrative was seldom covered. In an Alabama Public Radio interview, Emory Jackson, former editor of the Birmingham World (a Black publication), discussed the importance of minority coverage of events. He described diverse media as the "lifeline" for People of Color to learn about news events. In the context of the Civil Rights Movement, publications by People of Color were the only windows into the racial struggle that were not tainted by an entirely white perspective. Today, there is still an immense demand for stories that are not whitewashed, and representation in media is an issue still being tackled by diverse journalists. Due to this rich history of advocacy in media, diverse journalists of today tend to introduce stories involving advocacy into mainstream newsrooms. They encourage multifaceted stories of people not typically given a space in traditional media and give voice to those individuals being featured. With such a variety of content, journalism has been able to encapsulate more dynamic experiences in modern times. So what is the argument over being a proponent for the underrepresented? The issue with advocacy journalism of any sort is that it may obscure a journalist's ethical guarantees, especially balance and fairness. Advocacy can quickly evolve into something more deceptive. It can start as a fair opinion and transform into a platform for valenced discontent disguised as an editorial. This delicate balance between advocacy and professionalism should not be grounds for keeping diverse journalists from reporting on their experiences and values. All journalists, regardless of race, gender, religious affiliation, or sexual identity, should have the room to express their individual versions of the human condition. They must, however, be able to create content that simultaneously encompasses the issues for which they desire to advocate while maintain the ethical frameworks adopted by their respective mediums.